Rich people can now put their money where their mouths are via Sweden’s new Single Malt Fund, the world’s first publicly traded commodity fund for expensive whisky. The investment is the brainchild of CEO and cofounder Christian Svantesson, who worked for years to clear regulatory obstacles and launch the fund. “It’s essentially a commodity fund, but instead of gold we buy liquid gold,” Svantesson tells Business Insider. He says the returns will be handsome. The fund targets a 10 percent return, but Svantesson boasts that figure could be even higher. According to the RW Apex 1000, an index of the top 100 most expensive single-malt whisky bottles as assembled by the collectors’ website Rare Whiskey 101, limited-edition and rare whisky returned 370 percent since 2010. 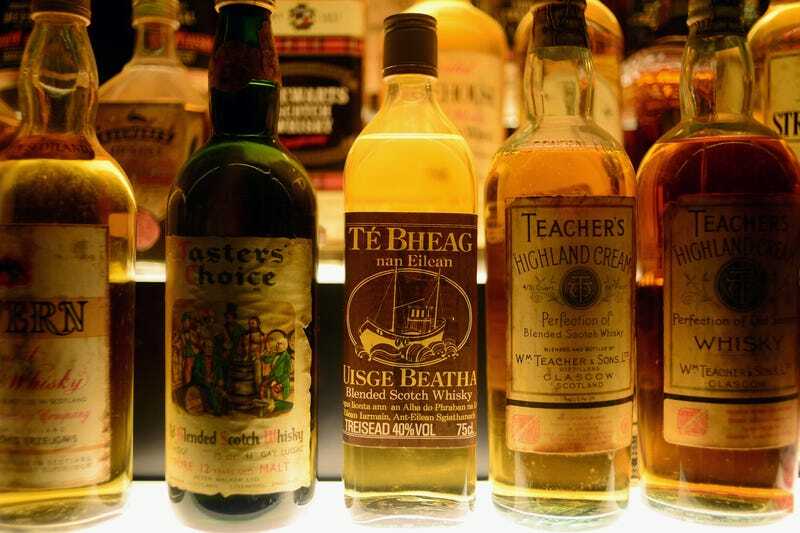 “There appears to be seemingly limitless demand for, and interest in, the old, rare and exclusive bottles of Scotch no longer available through traditional retail outlets. No matter how many bottles are sold at auction, demand continues to outstrip supply,” Rare Whiskey 101 stated in a 2017 report. All this talk of the effortless returns on rare whisky has us staring a bit more accusingly at our own humble bar carts. What’s that fifth of Jim Beam worth? Still just $15? Cool, cool. Back to Bitcoin then.